The Agbon Traditional Council has confirmed the death of Professor (Chief) Onigu Otite, a renowned Nigerian sociologist, who passed away at the age of 80. 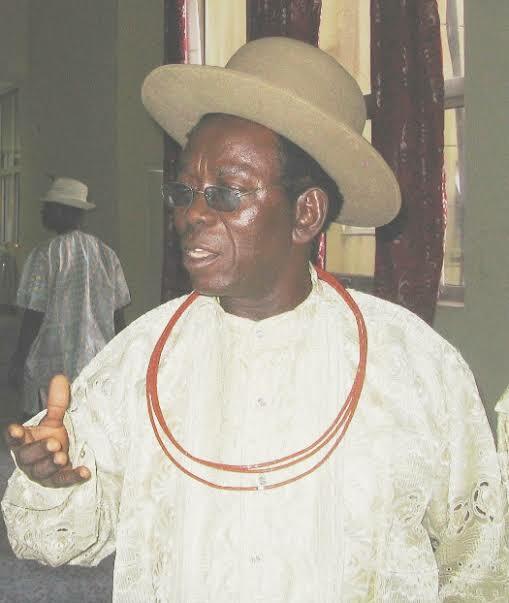 TheNewsGuru (TNG) reports Prof. Onigu Otite was an iconic researcher and a great Urhobo son whose reputation and character has been lauded remained untainted. Otite born as Kingsley John Onigu Otite on January 21, 1939 in Okpara Inland, Delta State, Nigeria, was a Nigerian professor emeritus of sociology. He is renowned as one of the pioneering anthropologist and sociologist from Nigeria, was among the first set of students to attend the first indigenous Nigerian university – University of Nigeria, Nsukka. Otite attended Okpara Inland’s Catholic school and later furthered his studies at the St Thomas Teacher Training College in Ibusa, Delta State from 1950 to 1954. He went on to teach in this school and by 1956 he was made Headmaster of the St Francis Catholic School, Sapele in Delta State. In 1958, he was appointed Assistant Executive Officer, at the Ministry of Health and a year later he was made the Private Secretary (Defense) to the Prime Minister’s Office in Lagos. In 1960, he decided to pursue an academic career and attended the University of Nigeria where he was one of the University’s pioneer students as well as the first Student Union Public Relation Officer. After graduation, he was employed as the Administrative Officer, at the Ministry of Lands and Housing, Western Region, and later at the Ministry of Works and the Public Service Commission. In 1965, he was admitted into the University of London (School of Oriental and African Studies (SOAS)). He then returned to Nigeria where he lectured at the University of Ibadan and became professor in 1978. At the University of Ibadan, he was Head of Department of Sociology (1980 to 1986), and Senate Representative on the Staff School Board of Governors (1977 to 1978). Otite has been visiting Research Professor at the University of Bergen, Norway (1986–1987), Visiting Professor of Sociology University of Pennsylvania, (1987), Senior Social Development Research Fellow at the African Centre for Applied Research and Training in Social Development, Tripoli, Libya (1990 – 1991). Otite was one of the earliest Nigerian lecturers to acknowledge the significance of the past in understanding the present and thus creating a brighter future. He highlighted the major problems with the Nigerian tertiary education system; siting problems like mismanagement of public funds, under funding of the universities, negligence of the importance of the educational system and poor policy implementation. He went on to inform us that all these factors have collectively left the educational system in Nigeria lacking in university autonomy and poor staff working condition. He also researched into traditional chieftaincy title in Nigeria where he described it as long and prohibitive to attain. He eventually became a Chief of the Agbon Kingdom Uno of Agbon Kingdom. Otite has done several research on Niger Delta migration, with special focus on the Urhobo Ethnic Group. Otite has co-authored several books along this line most notable among them are Autonomy and Dependence: The Urhobo Kingdom of Okpe in Modern Nigeria, On The Path of Progress, A Study of Rural Immigrants and Development in Nigeria. He has also focused his research on ethnic conflicts and resolutions with particular interests in the Niger Delta ethnic groups where there are frequent communal clashes leading to disruption of crude oil production and loss of both life and property. Otite was key at University of Ibadan who pioneered the Social Science Department as early as 1967. He is one of the notable academicians that facilitated the founding and formation of the Michael and Cecilia Ibru University, Agharha-Otor, in Delta State. He was listed in Africa’s Who’s Who published by Africa Journal Ltd For Africa Books Ltd. 1981 on page 937. He was also listed in Who’s Who in Nigeria, A Daily Times Publication 1983 on page 468 as well as Who’s who in the Commonwealth, Second Edition, 1984. He is also included in Who’s Who in Nigeria published by Newswatch Nigeria 1990 on pages 673 and 674 and Africa Who’s Who. He has published several books and over 25 articles as book chapters and over 15 articles published in learned journals. He has also produced and directed a documentary and film titled An Anthropological Colour Film on Symbolism, Rituals and Ceremonies relating to the Coronation of the Orodje, King and the political life in Okpe Kingdom in Delta State, Nigeria in 1973. He is married to Dr (Mrs) Regina Evwaraye Otite and together they have seven children – Dr (Mrs) Fidelia Akusu, Kenneth Otite, Dr (Mrs) Edore Onigu-Otite Adewuya, Barrister Afure Otite Iloka, Dr Jovi Otite, Dr Odaro Augustine-Ohwo and Ovede Onigu-Otite.